Angels Sweep the Awards at Women’s Soccer Club Event! Erin, Paula, Jodi and Amanda served up 11 tasty brews at the Women’s Soccer Clubs High Stakes St. Paddy’s Day event at the Milwaukee Zoo on March 14th. 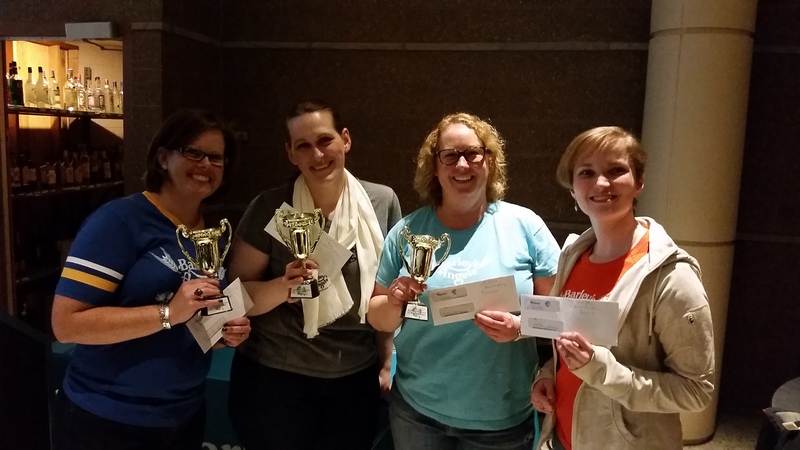 They won prizes for having four of the five top beers – Jodi won 1st for her Sunshine Delays Pale Ale, Amanda won second for her Love Porter, Paula won third for her Cherry Mead and Erin won fourth for her Dubbel Trubbel Begian Dubbel. This entry was posted in Uncategorized on April 1, 2015 by barleysangelsmke.